Style 991334 Navy & Taupe in various sizes. Silhouette Tea Length Neckline Bateau Colour Embellishment Embroidery Sleeve Style 3/4 Sleeves. 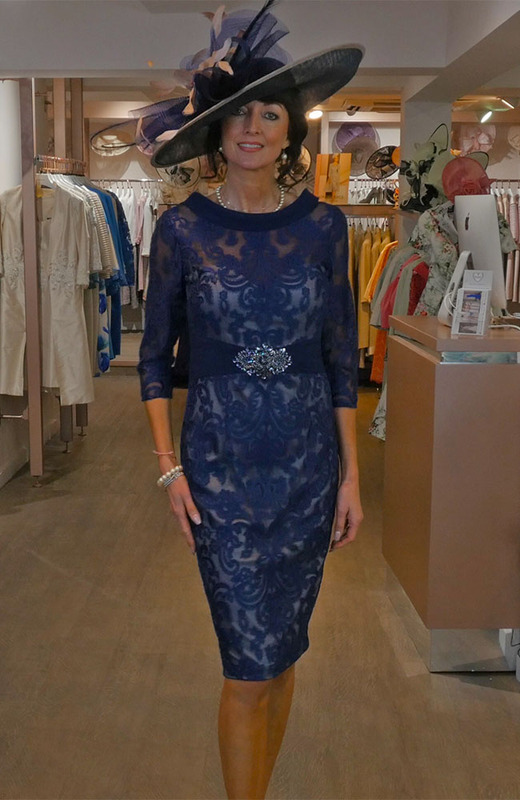 Veni Infantino is an internationally recognised designer for The Mother of the Bride and evening wear. She has brought her own signature to classic tailoring using beautiful silks and lace in a variety of popular modern colours. Veni Infantino will be sure to have a style you can make your own, from beautiful floaty dresses complemented with jackets and boleros to stunning skirt suits. This range offers endless options to the lady who wants to look sophisticated and stylish.